The month is going by fast and before you know it we will once again be together! I have created a series about Mug Rugs! Check out each page and join the Flickr group Mug Rug Swap. Post pictures about your progress or finished works. Post your finished work prior to our next meeting, which is on February 28th, 7pm at Whipstitch Fabrics and on March 1st I will post our Parade right here on our Blog! Feel free to contact me if you have any question and remember have fun! 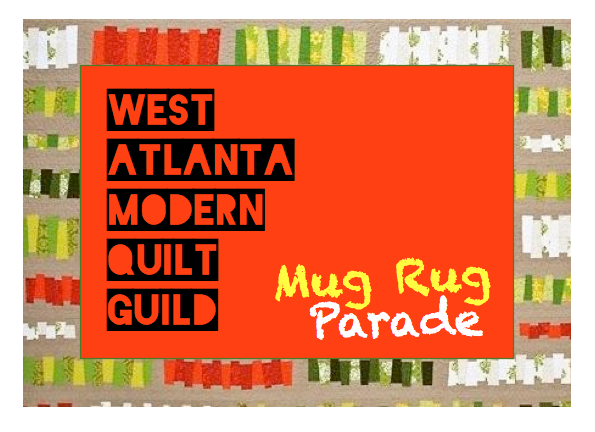 This entry was posted in Events, Swaps and tagged mug rug, mug rug parade, quilting, sewing by West Atlanta Modern Quilt Guild. Bookmark the permalink.